optional: garbanzo beans, black beans, corn, sprouts, fresh herbs, etc. 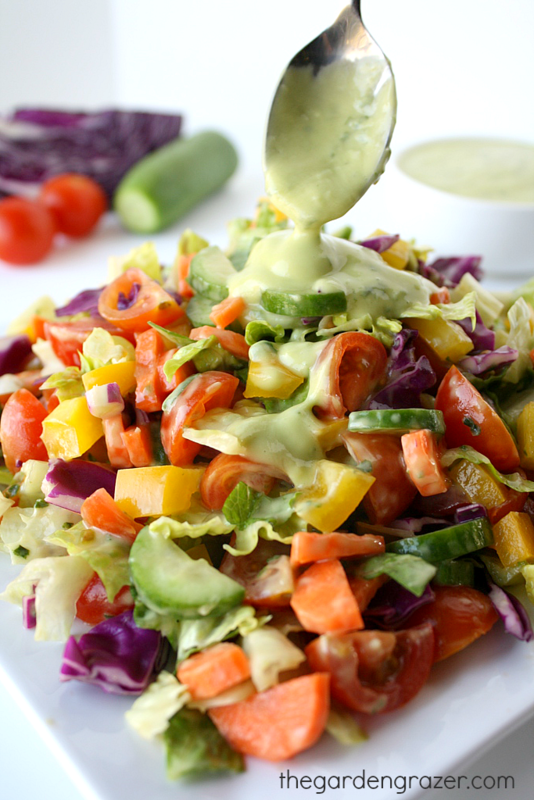 Make the dressing: place all ingredients in a blender and blend until smooth. Taste and adjust flavors if necessary. Place in fridge to let flavors mingle while you make the salad. Chop all vegetables and place in a large bowl. Toss to combine.